New research has cast doubt on an existing theory about the origins of an extraordinarily bright light in the night sky, previously thought to have been caused by the brightest exploding star ever seen. A study by an international group of scientists, including one at University College Dublin, has concluded that the light is actually caused by a rapidly spinning black hole that is ripping apart a passing star. The research is focused on ASASSN-15lh - an amazingly brilliant light coming from a distant galaxy 4 billion light years from Earth that is twice as bright as the previously brightest object detected by astronomers. In fact it was found to be 20 times brighter than the entirety of the light coming from our galaxy, the Milky Way. It was found last year by the All Sky Automated Survey for SuperNovae (ASAS-SN) to be a superluminous supernova. 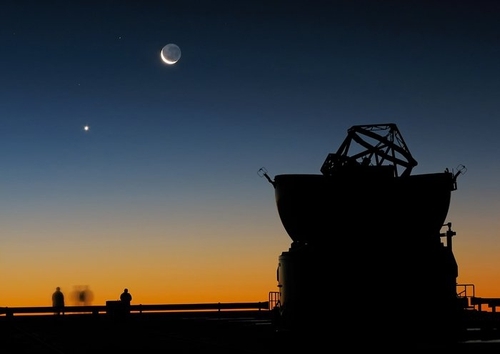 But using the facilities and data of the European Southern Observatory at Paranal and La Silla in Chile, as well as the NASA and European Space Agency's Hubble space telescope, the scientists, including Morgan Fraser from UCD, came up with a different hypothesis. They believe that the extreme gravitational forces of a supermassive black hole, located in the centre of the host galaxy, ripped apart a Sun-like star that wandered too close - a so-called tidal disruption event. The authors of the paper, published in the journal Nature Astronomy, say the star was "spaghettified" and shocks in the colliding debris as well as heat generated in accretion led to a burst of light. This they say made the object look like a very bright supernova explosion, even though the star would not have become a supernova on its own as it did not have enough mass. Their calculations suggest that the supermassive black hole that caused the cataclysmic event has a mass 100 million times the size of our Sun.